It’s two weeks into the semester and students are feeling the stress. 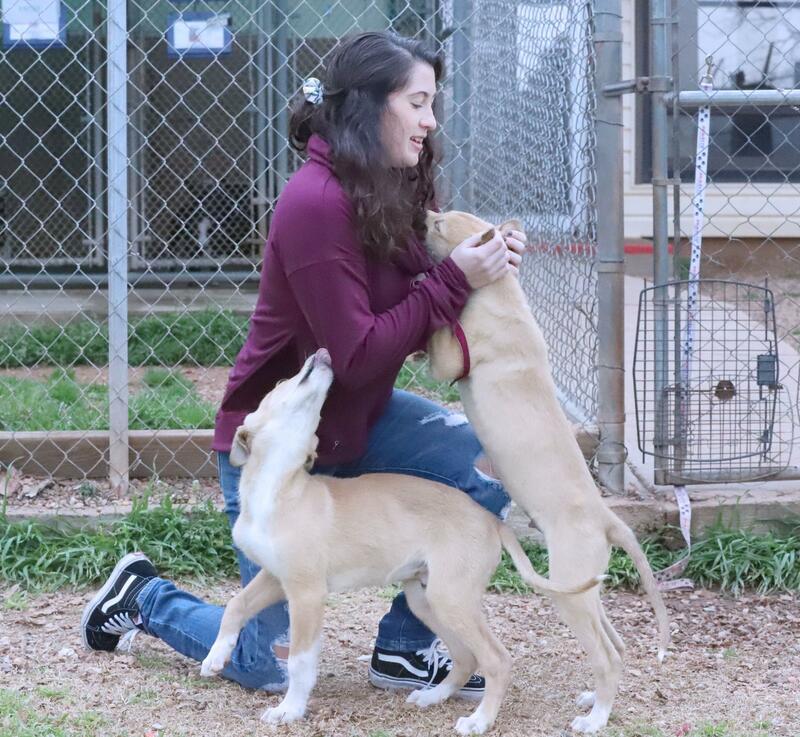 To break away from campus, students head to the Humane Society of Wichita County to volunteer. Students including Camille Blanton, special education sophomore, find comfort in volunteering and getting to play with the animals, often relieving stress, and putting a smile on their face. There are students coming and going through out the week. Blanton encourages more students to go and play with the animals. “You don’t have to stay all day, but once you’re here you will not want to leave.” Blanton said. Some students go frequently. Emily Anderson nursing junior is one of these people. With more than 60 dogs and 25 cats, students don’t need to worry about coming at a bad time. Ally Scruggs, adoption staff secretary, said she welcomes everyone. Scruggs also wants people to know that there is a lot of joy that comes from working with these animals. Since 1963, the Humane Society’s goal has been been to make sure no animal goes without shelter or love. They get most of their animals come off of euthanasia lists from other shelters around the area. “Our primary mission at the Humane Society of Wichita County, is to take homeless, sick or unwanted animals, and make them happy, healthy and adoptable pets,” Scruggs said.